There was no hearing, no semblance of trial. 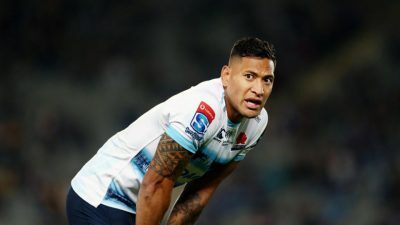 But there was swift summary judgment: Israel Folau, a star member of the Australian Rugby Union team, had been banished from the national team. There was only one problem: he was avoiding taking any calls from Rugby Australia to inform him of that fact. More was to come. Last Thursday, the Daily Telegraph revealed footage of a sermon given by Folau before churchgoers last month. And given that the player’s options seem to also be closing towards other international leagues, this is probably going to happen. The inconsistent approaches of Rugby Australia have not gone unnoticed.